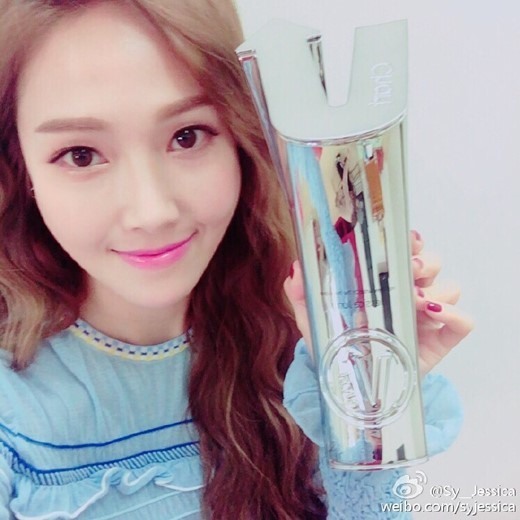 Former Girls’ Generation member and entrepreneur Jessica Jung received Hot Trend Artist of Korea Award at the 4th V Chart Awards held in China on Sunday. Apart from receiving an award, she also went onstage as an award presenter. 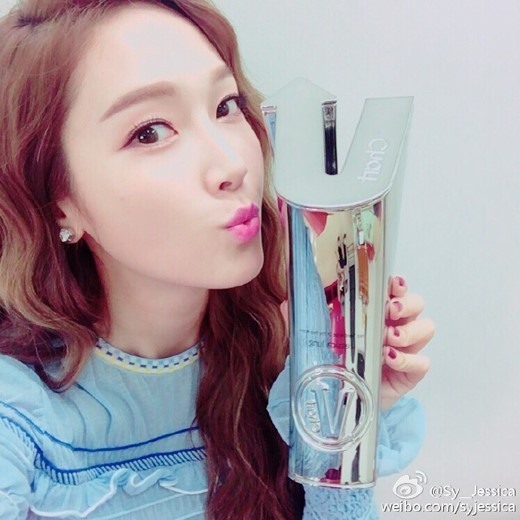 The 4th V Chart Awards is an annual music award presented by Chinese online music streaming platform Yinyuetai. Weibo account with a comment thanking her fans for support. 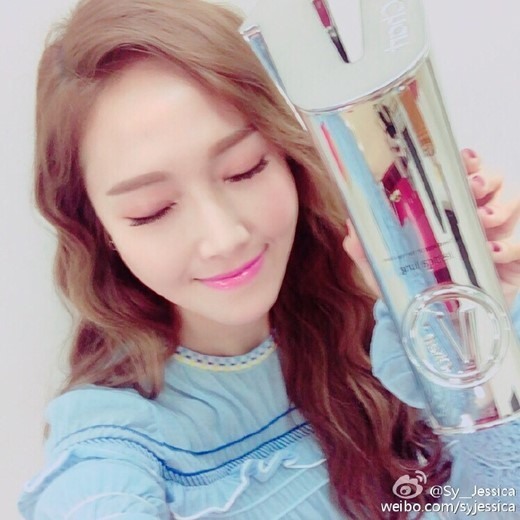 Jessica began hosting cable channel KBS Drama’s beauty program “Beauty Bible 2016 S/S” on April 2.